[UPDATE]: As you may have noticed, the video from this episode of Coast to Coast appears to keep switching from being available to being unavailable to view on YouTube. This seems strange, as I assume that Jimmy Church would have every permission to post this video on YouTube, seeing that he is a co-host for the show. It is unclear whether or not YouTube is attempting to censor the video, but as things appear, the episode has been uploaded at least three times, but keeps being flagged as a copyright violation. Whatever the explanation might be, the video appears to be available on at least one other YouTube channel. The strange part is that this YouTube channel does not appear to have the same issues as the original Coast to Coast video. The video remains untouched on other channels. We have updated the link below. [CORRECTION]: In the last posting of this commentary, there was one sentence that did not line up with the point intended. This was one of the statements regarding Corey Goode's testimony about his experiences in Inner Earth and the information he claimed to have received from the Anshar group. To correct the previous error, Goode did not say that Sitchen's work was perfect. His claim was that these translations were contrived to some extent. Also, to add to this correction, the episode in which these statements were made was titled, Cosmic Disclosure: Inner Earth – The Library, not the episode Into the Hall of Records, as previously stated. Here is the dialog from Inner Earth – The Library. CG: And she brought out a-- she went and then came back with a book that was a dictionary, that was an ancient Sumerian dictionary. She says we have one very similar. It was-- she said, ours has-- it's a dictionary, a complete Sumerian dictionary that has two different languages-- I think Akkadian and Sumerian, or I can't exactly remember-- that is a dictionary for every ancient Sumerian word, what it means. They tell us, the scribes tell us in their own words. DW: This is sort of similar to the Rosetta Stone, which is what allowed people to crack a lot of these ancient languages in the first place. Because it was the same words in, like, three or four different languages. CG: Right. And we've had this, supposedly, on the surface for I don't know how long, that our mainstream scholars use. CG: But her book had three languages. The dictionary had three languages. It included her language, the proto or pre-language. DW: So she brings out this dictionary. Was it an unusually large book? CG: It was a very large book. CG: And we didn't really-- she just showed it to me. And I looked at it, looked at some of the symbols, the writing. We really didn't flip around it because I didn't understand what it said anyway. CG: And she began to tell me a story that made me a little uncomfortable in the beginning, about the story of the Anunnaki, the ancient Sumeria, and the current narrative that many in Ufology and believers in ancient aliens subscribe to. And she went on to talk about how all of the information-- and she pointed up to Zecharia Sitchin's books. She said all of the information in those books is pretty much contrived. She said, you cannot take those books, and you cannot go into a ancient Sumerian tablet, to the tablets and texts, and do translations and get what is said in those books. And she asked me-- she said, do you know what Anunnaki means? And I said, well, I've been told, and I've read, that it's a catchall term that just means "extraterrestrial." It can mean any group that comes from the sky. And she said, the root of the word means "royal seed." And I was like, OK, I can't dispute that. I can't-- how do you argue or dispute that? I was like, OK, I'll just listen. And she went on to describe that there was a secret society that had put out this narrative, very cleverly, to make an elitist religion, to take an elitist religion from the surface and put it into the esoteric community. DW: Wow. This is really mind-blowing, and I feel like I gotta add something here. When I went to college, I had a buddy who ended up living in a boarding house with me after I graduated. And we'll call him Antonio. It's not his real name. He was from Spain. Here's the thing I have never said before, OK? He was personal friends with Zecharia Sitchin. He told me that he talked to Zecharia in person, and Zecharia told him that he was told what to write in the books by these Illuminati. None of it was really based on research. It was all contrived. Now, I've never shared that before, and this is blowing my mind, that she's telling you the same things. Very interesting. To restate, my own commentary read that Goode said that Sitchen's translations were perfect. However, Goode never stated this, but stated the opposite. 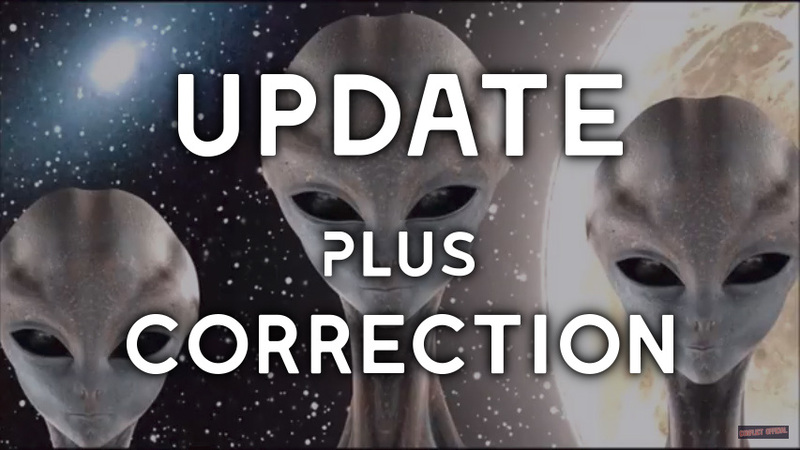 The way in which the error in the commentary was stated may have confused a few readers, and hopefully this update will clear that confusion up. What is particularly strange is that I knew the point being made by the actual episode, but for some reason, typed the opposite. What is also strange is that I do not remember typing that sentence or noticing its presence in the commentary at all. This is not to defer responsibility, however. There has already been more than enough confusion perpetrated by the group known as the Dark Alliance on these subjects. Consequently, in my view, there is no room for such errors. However, if the confusion caused you the reader to search deeper into the matter and find the accurate statements for yourself, it is for the better. We strive for excellence here on DTM, and try to communicate as clearly as possible. If there is ever a statement that you feel needs further clarity, or if you happen to see a typo here or there, feel free to email us or post it in the comments below.